About a week ago, I asked people to send me their questions. One of the questions I got was from someone who is new to using PLR. She wondered, “How many people can buy a PLR product and not change it?” In addition, she wondered how it is okay to use PLR if it won’t pass Copyscape. I will attempt to explain this as best as I can. However, not all PLR providers offer limited licenses of their content. There is nothing wrong with this either as long as the content you are getting is still current and of high quality. I don’t know about you, but when I’m reading content on a reputable website, the last thing that enters my mind is that I should run it through Copyscape. Also, don’t forget, facts are facts. For example, all websites about heart disease are bound to have similar information on them (even if they have not used PLR). The way you can make it different though is to add in your own experiences and helpful information. As for the question of how many people can buy the PLR product, and not change it….the answer is that none of them have to change it if they don’t want. Of course, this is not likely to happen. Many people like to use PLR as a starting point to get their creative juices flowing. If you buy high quality PLR, you should find it speeds up your own content creation, because you don’t have to do all the research on a topic. You often get the PSD files of the ecover for a book. I think changing the look of a cover is a good idea no matter what. In fact, you may find it easier just to get your own ecover software to do this quite quickly and easily yourself, if you need to cover your own ebooks often. The other thing to keep in mind is that not everyone uses PLR in the same way. There are many more uses of PLR than just using it for web content. (I have already mentioned a few other uses above.) 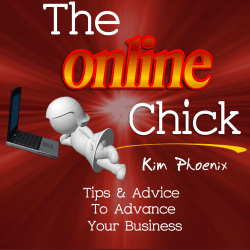 For example, there are many offline business owners who are also using the same PLR as online business owners. These offline people may have a website, but their use of the PLR may not necessarily be focused on the online part of their business. Instead, they may be using PLR to create a course for a live event that they are conducting. So you have to remember that one PLR item can be used by so many different people, online and offline, in so many different ways. As I already mentioned, if you buy PLR and it reads well and you like it the way it is, you do not have to change anything at all. If you are using it for your own blog posts though, I would always suggest adding a personal touch to it. In regards to the question above about Copyscape, I will try to explain this too in a bit more detail. The only way to get content that no one else can put their name on, is to hire your own writer. The thing is that this is much more costly. Instead of paying approximately $1/page for PLR, you can expect to pay $10-$25 or more per page. Of course, you could pay less for a writer, but you may not get the quality. If you are the only one buying the content from the writer, that is when running it through Copyscape becomes important. In my case, if I hire a writer to write content for me, I will run it through Copyscape to make sure that it is not plagiarized, as I want to ensure that it is an original piece of content. The moral of the story is only buy from people you trust, and know what they are doing. Be wary of PLR sites where you don’t know the reputation of the provider, or the reputation is not good. Please send me your comments or further questions. Here is another post that addresses the misconception about Google penalizing duplicate content (PLR).